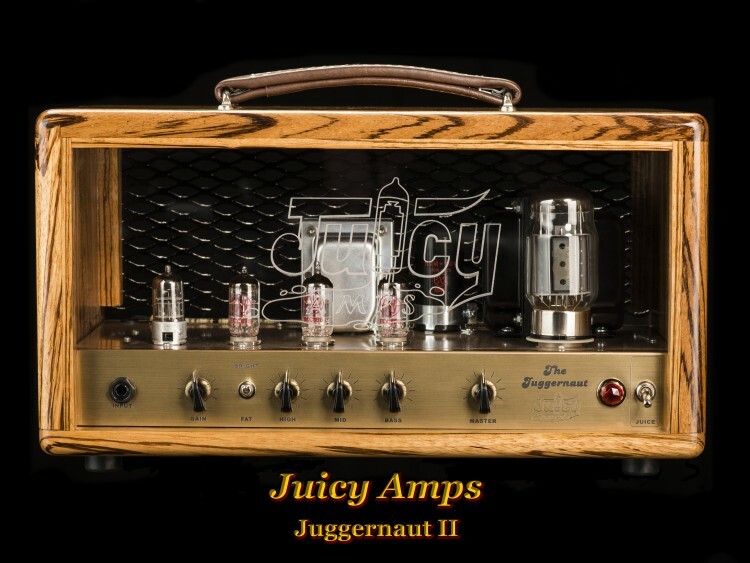 The Juggernaut II is a slightly modified version from its brother the Jugernaut. 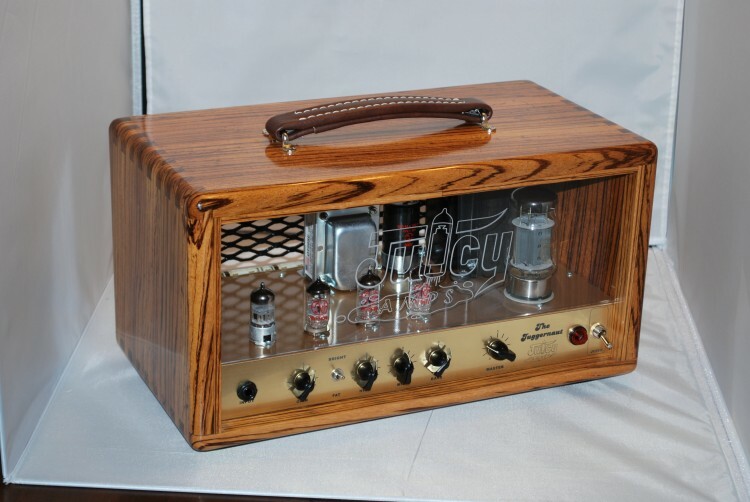 This model is still a Single Ended Class A unit with a KT88 producing aroun d 15 watts. A slightly calmer preamp design that incorporates a selectable Bright/Fat switch. Unlike other bright switches, this design allows for the bright switch to function even with the gain turned fully up. Simple 3 band EQ, Gain and Master round out the front layout. 4,8,16 ohm output taps and selectable LED colors. 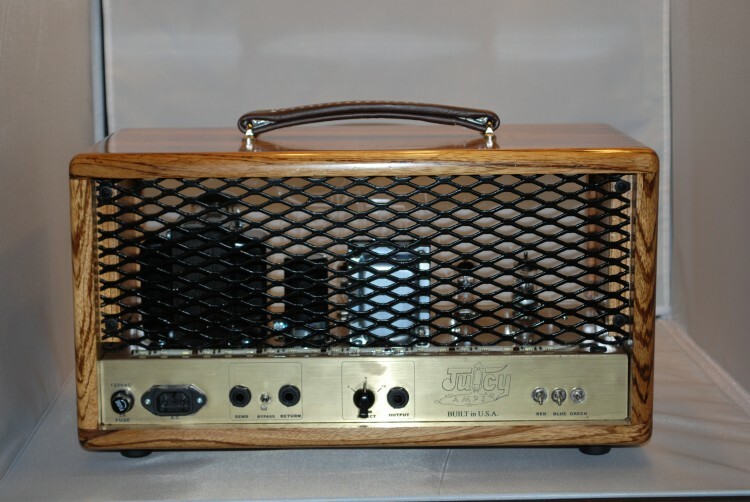 This unit is equiped with a tube driven effects loop. Box jointed Zebrawood rounds out the case construction. A definate gain monster in a small package. Here is a demo of the Juggernaut in action!